Global telco Vodafone has tabled a €7 billion bid for Spanish cable MSO ONO, according to reports in the UK and Spain. It is understood the cableco will discuss the offer at a Board meeting February 11th. The move follows Vodafone’s €7.7 billion acquisition of German cable MSO Kabel Deutschland in September 2013. At the time of the Kabel Deutschland offer, Vodafone suggested the proposed acquisition created an integrated player in Vodafone’s largest European market, and was consistent with Vodafone’s stated market-by-market convergence strategy of wholesale, organic fibre deployment or M&A, suggesting that Kabel Deutschland provided it with an attractive platform for TV and fixed broadband in Germany. Similar considerations are likely to have driven Vodafone’s interest in ONO, enabling it to have a stronger quad-play presence. Late January, ONO was understood to be close to hiring banks for an initial public offering that could value the operator at as much as €7 billion, including debt. ONO offers its own-quad play package of fixed telephony, Internet, TV and mobile services and claims its fibre network is the largest in Spain. It reported February 1st that it ended 2013 with 1.87 million customers. One sector experiencing the most significant growth was mobile services, which added 183,000 new subscriptions from October to December. Of that number, more than 160,000 switched from other mobile operators. ONO closed the year with 1,085,000 mobile lines. Vodafone España is the telco’s Spanish mobile operator in Spain and was founded in 2000, as a result of the merger of the shares held by Vodafone Group and British Telecommunications plc in Airtel Móviles, S.A. It has some 16 million customers and is the largest mobile competitor to Telefónica. ONO’s main shareholders include Multitel (21 per cent); CCMP Capital (15.2 per cent); Providence Equity Partners (15.2 per cent) and Thomas H. Lee Partners (15.2 per cent). Vodafone has considerable funds to finance any planned acquisitions following its September sale of its 45 per cent stake in Verizon Wireless to Verizon for $130 billion. At the time of the disposal, Vodafone Group Chairman Gerard Kleisterlee said the transaction would position Vodafone strongly to pursue its leadership strategy in mobile and unified communication services for consumers and enterprises both in its developed markets and across its emerging markets businesses, with Chief Executive Vittorio Colao said that as a result of the transactions, Vodafone would greatly enhance its long-term prospects through Project Spring, its new programme of additional organic investments in 4G, 3G, fibre and broadband, enterprise services and improved customer experience across all of its markets. 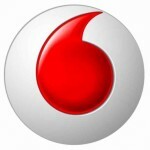 Vodafone puts Kabel Deutschland on hold?